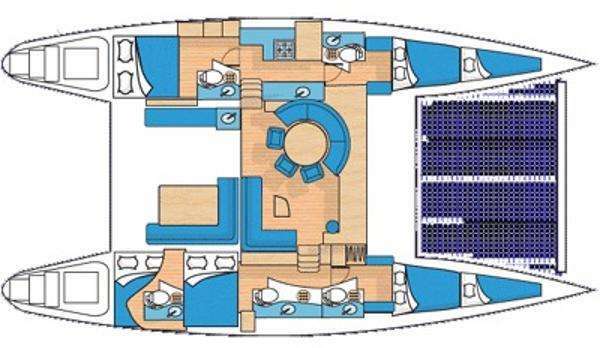 This yacht features 4 Queen berths, full A/C, ensuite toilets and wet heads. Communicate: WIFI is available in both US and International waters. Download speeds in foreign countries are not equal to the speeds of the US. Captain Colin Lange hails from the shores of Lake Ontario, NY where he lived out his childhood on the water learning to sail Laser’s and 420’s. He further honed his sailing skills, racing throughout New York and Canada, including three years racing in the Junior Olympics. It was during this time that Colin earned his place as a certified US Sailing Instructor, coaching youth in sailing and racing. It was while completing his bachelor's degree and preparing to join "the rat race", Colin decided to confront his passions head on and shortly thereafter, moved to the Virgin Islands to begin his next great adventure as a full-time sailor. He is also a NAUI Dive Master. Chef and First Mate Julianna Leone likes to say that while she was raised in Rochester, NY, her most formidable memories come from the summers she spent on Owasco Lake, in a cottage built by her great-grandparents. It was in the Finger Lakes in upstate New York that Julianna spent the summers of her youth swimming, adventuring and even water skiing before she could walk! As a young woman, she stayed local, attending the Rochester Institute of Technology where she got her degree in Graphic Design. In between classes should could be found going to yoga classes, painting, or cooking for her roommates (Best. Roommate. Ever.). After finishing her degree, Julianna spent a stint in the advertising/marketing agency world, but soon decided to follow her roots back to the water. This time, a little further from home. Julianna brings a fresh and colorful menu to Tabula Rasa, inspired by her passion for travel, art and the idea that food should be shared "together". Colin and Julianna share a love of culture, travel, and spending time on the water. Their passion for life brought them together on an unconventional, but totally epic, career path in the Virgin Islands. Colin’s experience on a wide variety of sailboats and powerboats, along with a deep knowledge of the Caribbean Seas makes him the perfect tour guide. As a certified private chef, Julianna utilizes family knowledge passed down from three generations of Italian cooks directly to Tabula Rasa’s galley. In addition to her Italian influence, she loves experimenting with local Caribbean cuisine, gluten-free and vegan cooking as well. These two bring a high level of service, fine attention to detail and a wealth of knowledge and personality to the Tabula Rasa family. 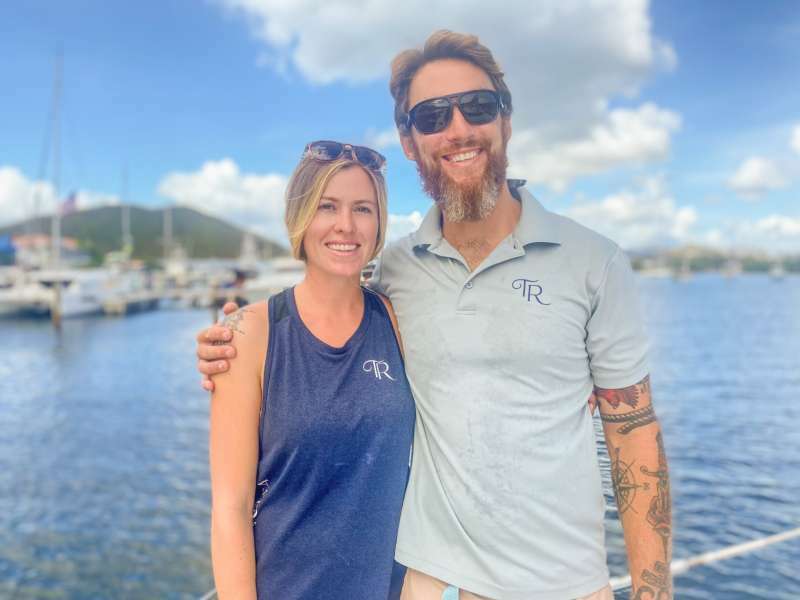 Colin and Julianna are a passionate, motivated, water-loving team, whose specialty skills and knowledge make them your perfect crew for any and all charter adventures. Awesome, fantastic service, knowledable, friendly...Colin Lange is a fantastic captain & host! EXCELLENT!!!!!!!!! Healthy, beautifully plated and displayed...just PERFECT!